A reliable source for Parts Cleaning Machinery information and a resource for accessing leading Parts Cleaning Machinery and suppliers. Parts cleaning is the method by which grease and other contaminates are removed from the surface from any metal item set to be plated, or the method by which contaminates and machining residue is removed from completed parts. 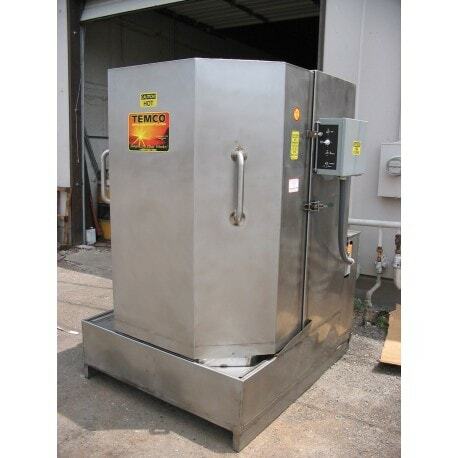 Parts cleaning machinery is any type of equipment that aids in this cleaning process. Parts cleaning machinery may be differentiated by the following techniques: manual, mechanical/semi-automatic, automatic and robot-supported. It may be quite simple, rather complex or used as part of a larger procedure, like electroplating or galvanizing. Here is an example of a fairly common procedure: 1) pre-cleaning 2) main cleaning 3) rinsing 4) rinsing with deionized water 5) rinsing with corrosion protection 6) drying. The processes used by parts cleaning machinery are quite varied. Examples include: sprinkling, spraying, power washing, blasting, flooding, movement of parts (turning, oscillating, etc. ), circulation of bath/agitation, gas/air injection into bath, boiling under pressure, injection flooding, pressure flooding, ultrasonic cleaning, megasonic cleaning and carbon dioxide cleaning. Parts Cleaning Machinery Parts cleaning is the method by which grease and other contaminates are removed from the surface from any metal item set to be plated, or the method by which contaminates and machining residue is removed from completed parts. Parts cleaning machinery often comes in the form of washers. Parts washers are quite variable, providing customers with several different, frequently customizable, options. Types of parts washers include: immersion parts washers, sink-on-drum, ultrasonic parts washers, soaking units, brush units, soaking and brush combination units and direct sprayer parts washers. 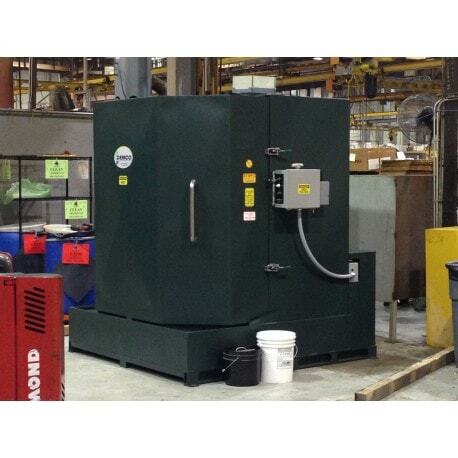 A typical parts washer may be solvent-based or aqueous/water-based. Solvent-based parts cleaning machinery was invented in the 1950s, and is incredibly effective in removing stubborn corrosion and chemicals. Parts cleaning machinery uses a degreasing agent along with these solvent-based cleaners to effectively remove residual oil-based coolant and anti-rusting agents applied during the machining process. However, they are also hard on the environment and hazardous to health if used improperly. Partially for this reason, aqueous-based parts cleaning machinery, which is safer and more economically and environmentally-friendly than solvent-based, has become more popular. Today, the traditional hazardous cleaning agents like TCE and PCE are only used in airtight plants, regulated by modern volume shift systems that limit any emissions. Parts cleaning machinery are incredibly useful, but they do occupy the space of an extremely complex industrial process. For that reason, it's best to approach a purchase as well-informed as you can be. When considering the parts cleaning machinery you will purchase, remember to educate yourself on the quality and cleanliness standards of your application or industry, like the auto industry's VDA 19/ISO 16232 standard for the cleanliness of road vehicles fluid circuit components. Customers may also present you with their own set of requirements regarding remaining contamination, corrosion protection, spots, gloss level and the like. The better informed you are, the smoother the purchasing process will go, and the better equipment you'll get!